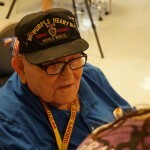 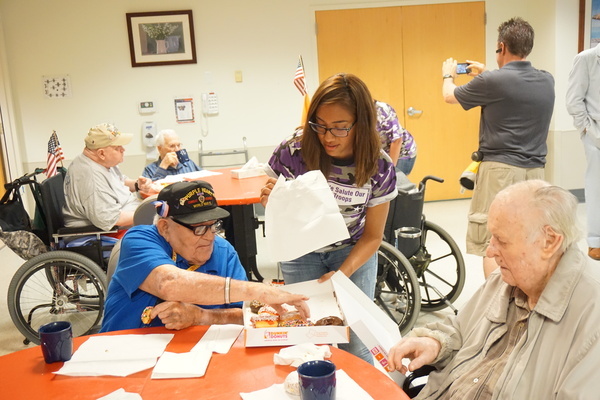 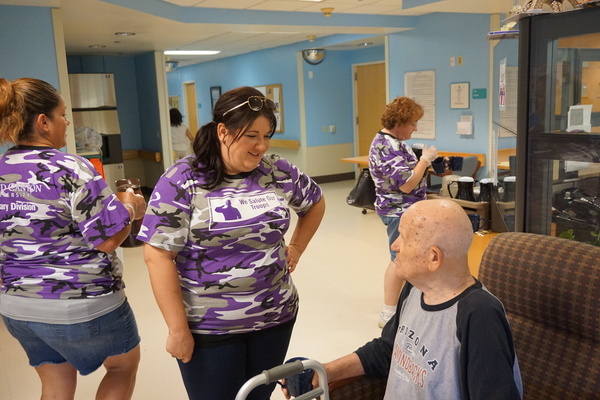 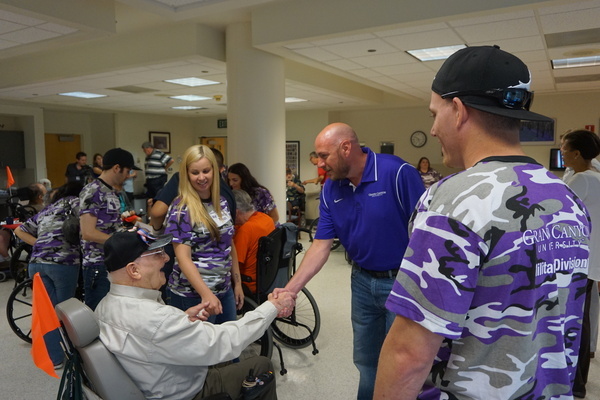 Residents of the Arizona State Veterans Home received a spirited Independence Day greeting from Grand Canyon University staffers Thursday as part of GCU’s annual Salute Our Troops event. 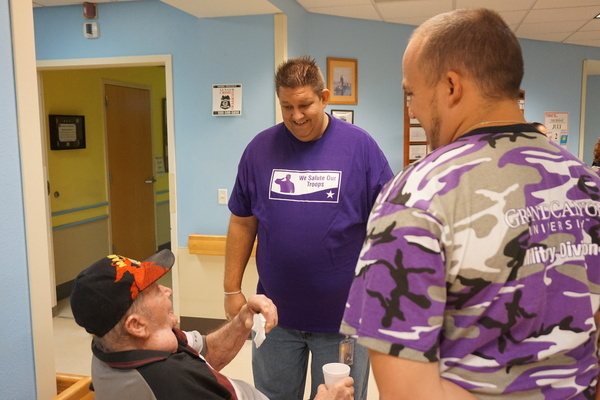 Dozens of University employees, primarily from the Military Division, engaged veterans in games, a drum circle and military hymns and also prayed alongside them as part of a regularly scheduled church service. 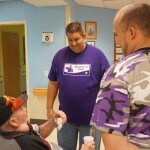 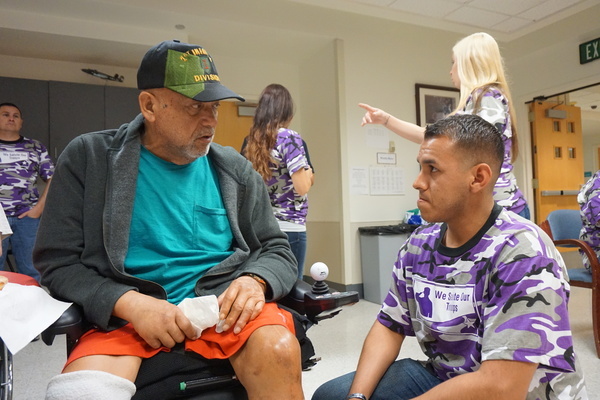 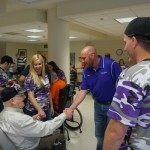 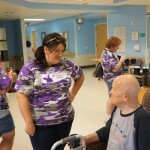 GCU executive vice president Bart Burkert, who oversees the Military Division, said he and other staffers recognized many of the veteran residents from visiting the Veterans Home over the past five years. 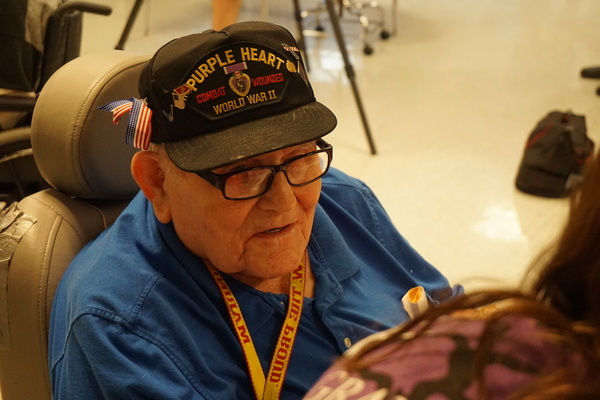 He said the visits have helped staffers build relationships and connect with those who sacrificed so much in World War II, Korea and Vietnam. 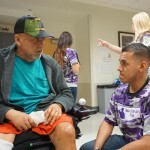 The Veterans Home, a 200-bed care facility near Indian School Road and Seventh Street, provides a range of medical and rehabilitative care for Arizona’s disabled veterans.